Clenil Modulite Inhalers are an effective preventative treatment for asthma. Typically, they need to be used every day to help control and prevent asthma-related symptoms and attacks. 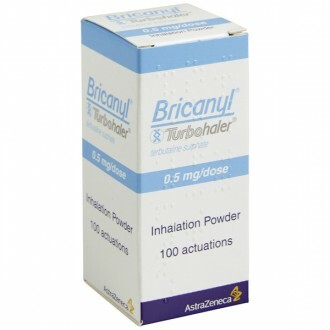 The active ingredient, Beclometasone, works by reducing inflammation within the airways. This allows for more air to pass to and from the lungs, making breathing easier. Four different strengths of the inhaler are available. They come in dosages of 50, 100, 200 or 250 micrograms. Your GP will prescribe the strength most appropriate for you – this will depend on a variety of factors, including; your age, medical history, and the severity of your asthma. If you have been diagnosed with asthma and previously prescribed Clenil by your doctor, repeat supplies of this medicine is available to buy from The Independent Pharmacy, following a free consultation. Asthma is a condition that causes inflammation of the bronchi. These are the tubes that connect the lungs to the windpipe. This inflammation causes the airways to contract, which restricts the amount of air coming to and from the lungs. This swelling can also increase the amount of phlegm being produced, which will cause further obstruction of the airway passages. This leads to symptoms, such as coughing, wheezing, a tightness in the chest, and a shortness of breath. Asthma is a very common condition, affecting approximately five million people in The UK. Asthma symptoms can be triggered by a variety of factors, including; allergens, exercise, environmental pollutants, cold air, stress, and infections. 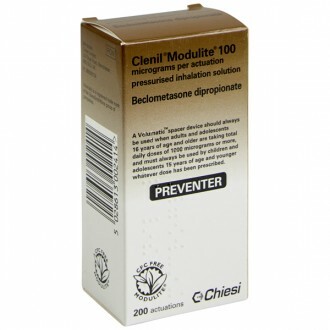 Preventer inhalers, such as Clenil Modulite are designed to reduce inflammation of the bronchi. Once the active ingredient (beclomethasone dipropionate) enters the lungs, it inhibits cells in the area from producing the chemicals responsible for causing inflammation. When used on a daily basis, Clenil Modulite will effectively control the inflammation of the airways, reducing the risk of any asthma symptoms. You should continue to use Clenil inhalers even if your symptoms improve, to prevent your breathing problems from returning. It is important to reemphasize that preventer inhalers do not treat asthma symptoms immediately. This product will not provide relief from asthma symptoms or an asthma attack. For this reason, you should always ensure that you carry a reliever inhaler with you. You will likely be prescribed Clenil Modulite alongside a reliever inhaler, in order to both prevent and relieve your asthma symptoms. Asthma is not a condition that can be effectively treated with over the counter medications. If you are looking for another treatment or wanting to swap inhalers you will need to broach this subject with your GP at your regular asthma review. Please do not 'Try' a new inhaler without seeing your GP first. We recommend you have a regular check up with your regular GP to ensure your inhalers are still keeping your asthma controlled and are still the best course for you. The recommended dose of Clenil Modulite will vary depending on the severity of your asthma and the strength of your inhaler. Check with your doctor to ensure you are using the correct dosage. Generally, you will be advised to take one or two puffs from Clenil inhalers, twice a day. It is most effective at controlling inflammation when it is used every day. After using the inhaler, remember to brush your teeth and/or rinse your mouth. This will prevent oral side effects from developing. Allergic reactions (including rash, eczema or sneezing), thrush (fungal infection) in the throat or mouth, sore throat, headaches, nausea. This medicine may also change the body's normal production of steroids. The active ingredient contained in Clenil Inhalers is: Beclomethasone dipropionate. Clenil does not contain chlorofluorocarbon propellants; this is replaced by propellant HFA-134a. Do not use Clenil inhalers if you are allergic to any of the ingredients. You should not use Clenil inhalers to treat a sudden attack of breathlessness (an asthma attack). Your Clenil inhaler will not help in this situation, you should use your 'reliever' inhaler instead. You have ever been treated for tuberculosis. Your asthmatic symptoms worsen while using Clenil. You have been told to avoid alcohol. Your asthma seems to be getting worse. Need to know more about Asthma? 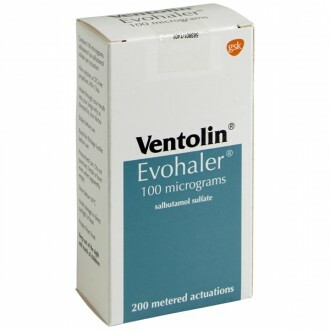 Will Clenil Modulite help to treat an Asthma attack? There are two types of inhaler: preventers and relievers. Preventer inhalers such as Clenil Modulite are used daily to control inflammation in the airways, which reduces the risk of an asthma attack occurring. It will not provide relief from an asthma attack. Reliever inhalers treat asthma attacks and are used only when necessary. 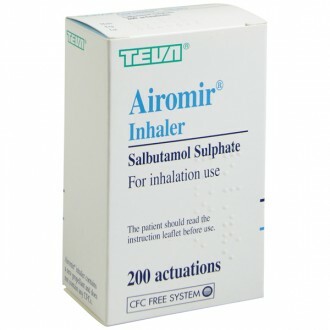 Reliever inhalers include Ventolin, Salamol, and Airomir. The active ingredient starts to work immediately, and you will likely notice an improvement in your breathing problems within a week of daily use. Should I be getting this taste in my mouth? If you are using Clenil correctly, the medicine should be going straight into your lungs. This requires that you correctly time your inhalation and your activating the device. If your technique is incorrect, the medicine may remain in your mouth and leave a bad taste. If you are struggling to fix your technique, devices are available which slow down the cloud of medicine and make it easier to inhale correctly. How do I buy Clenil Inhalers online? You will need to fill in a simple health questionnaire so that our GPs and Pharmacists can ensure it is safe for us to supply your Clenil inhalers to you. It only takes a few minutes, and your treatment can be delivered to your door as soon as the next working day. How many Clenil Inhalers can I buy in one purchase? Clenil inhalers are a prescription-only asthma treatment. For that reason, to ensure the safety of our patients and the legal operating of our pharmacy, we only supply a maximum of 2 inhalers at one time. 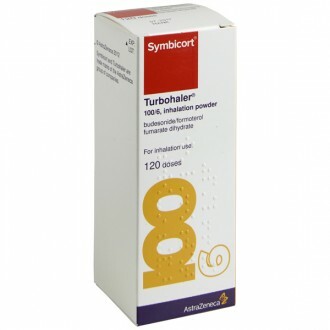 If you have no adverse effects and your asthma is well controlled, you can log in and easily re-order another supply. What do Clenil Inhalers contain? The active ingredient in Clenil inhalers is beclomethasone dipropionate. The amount present in each inhalation will vary according to the strength of the inhaler. The medicine also contains inactive ingredients that are used to make up the inhalation – for more details please see the 'Ingredients' tab above. How do Clenil Inhalers work? The beclomethasone contained in the inhaler reduces inflammation in the lungs, reducing your risk of an asthma attack. 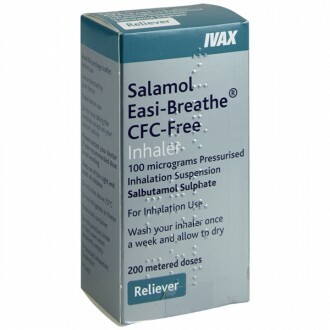 Is it safe to buy Clenil Inhalers online? Yes – as long as you are buying from a website that is a legally operating and regulated pharmacy, it is perfectly safe to buy Clenil inhalers online. 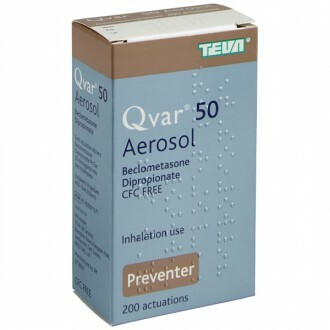 What are the advantages of buying Clenil Inhalers online? A wealth of information - we provide all the information you could need on Clenil inhalers and other asthma treatments, in easy to digest formats, at a time that suits you. 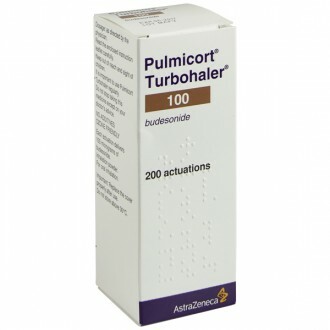 I normally get Clenil Inhalers from my doctor - why should I buy them online? Clenil inhalers are available on the NHS from your GP if you have been diagnosed with asthma, exercise-induced wheezing or breathing problems due to allergens. This is normally where we suggest people start their treatment, to ensure that their condition is properly diagnosed and any possible serious symptoms are addressed. Here at The Independent Pharmacy, we take the headache out of getting asthma treatment.